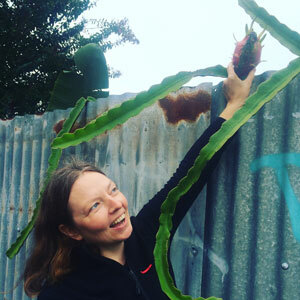 This is a guest post by the fantastic Alexandra Crosby, co-founder of Fontyard in Marrickville. Alexandra joined us at our recent Hackfest at their space and made thoughtful contributions to the group redesigning street development application notices. The interface between things is where the most interesting events take place. These are often the most valuable, diverse and productive elements in the system. (permacultureprinciples.com). Edges are important. Multiple ecosystems at an edge, for example, can exchange resources, increase productivity, and generate unique species producing a transition zone. For those of us working at the edge of cultural systems, the same is true. We generate distinctive projects, ideas, interactions, languages and spaces that make sense to other edge dwellers. 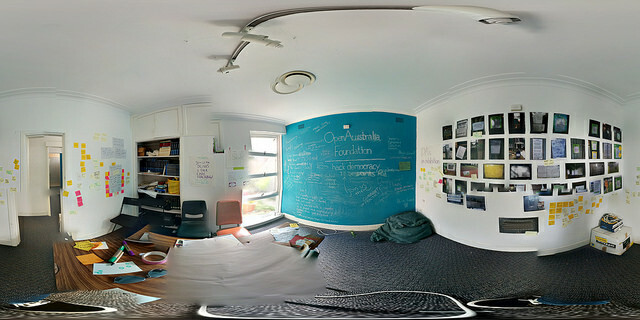 The OpenAustralia Foundation is working on projects and activities on the edges of democracy and technology, where citizens experiment, cross-pollinate, tinker and develop innovative ideas. Because of their attitude to play, their interaction with others, and the intermingling of ideas and practices from different fields, these edges, like their ecological counterparts, are special places indeed. At the edge of democracy? Democracy is at the core of OAF’s purpose but their activities are not at the core of our democratic system in Australia. OAF works at this edge of democracy, the participatory edge, and is richer in diversity and more dynamic than its core, inviting a shift in everyday practices and in the way collaboration happens. Without claiming to be in a position outside the current democractic system, OAF demands the transparency of that system, directing the organisation away from the corruption and confusion of that system and offering us all a clear way to be involved in generating alternatives. The core of democracy can seem rotten on a daily basis. In NSW we are experiencing the logic of efficiency replace our democratically elected local councils with hand picked administrators; at a national scale the rigorous and peer reviewed selection systems of the Australia Council for the Arts replaced with private and closed deals to allocate arts funding; a federal election this year that seems void of political debate, despite global allegations of Australia’s human rights abuses. But these decisions are not made at the edges. At the edges, we keep meeting, questioning, tinkering, arguing, hacking and growing. When the arts sector panicked at the cuts to funding in 2015, the seeds of Frontyard were sown. In just a few months, those involved found ourselves operating at the edge of the sector, ‘artists and non-artists’ we tried to explain on our tag lines, asking questions about the future that were generated by the contact of different intellectual and creative ecosystems. Walking is always a good way to map edges. OAF’s Henare Degan walked into Frontyard the first day we were open to the public. We shared stories and a few weeks later, OAF was in residence in our GetaroomA. I joined the community hackfest in April, hoping to try a bit of coding. Five minutes in, I realised that I had been too ambitious, and that, like any language, I would need to spend a lot of time on this one. As well as ‘scraping’, which I was prepared for, there was a lot of ‘cleaning up’, ‘forking’ and ‘cloning’, ‘pen testing’, and ‘installing bundles’, which made it clear I was a little out of my depth. So I logged into slackchat, and I watched and listened and marveled. I learned that ruby, which is also used for twitter, is magic and that pdfs are where good data goes to die. By 5pm, Henare was able to state that 8.5 million people could now access government data because of the day’s scraping improvements. 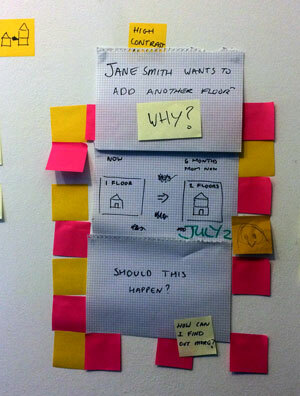 Away from the data hackers, in the ‘design’ room, I joined a group working on the redesign of the DA notices. The task was deceptively simple: to more clearly communicate a publicly displayed DA. That is what designer Pat Armstrong is doing in the picture below. But because of the way OAF works, and the culture of Hackfests, there were more questions than there were answers. Wrapped up in our decisions about wording, fonts, colours and borders, were a spectrum of questions about the role of the DA process in increasing the agency of residents to make decisions about their neighbourhoods. While it seemed like a good idea for DAs to be obvious and all information to be made as available as possible, considering the problem from multiple perspectives opened up the possibility that in doing so we could be shutting down diverse lifestyles, unconventional configurations of households, and creative alternatives to developer-led densification. After lunch, I took a small group on a walk I had done during my own Frontyard residency with Ilaria Vanni as Mapping Edges. The idea of Mapping Edges (#mappingedges) is to experiment with research methods, inspired by permaculture, and the possibilities of applying permaculture design principles to a variety of contexts, generating possibilities of intervention to create sustainable, abundant and stable systems. We found an abundance of food growing at the edges of residential blocks, in alleyways and verges, and on makeshift trellises. This urban farming presents physical evidence of communication between neighbours that may run much deeper than the reading of and responding to DA notices. How can these conversations be harnessed to generate a democratic system for development that is less adversarial and more generative? 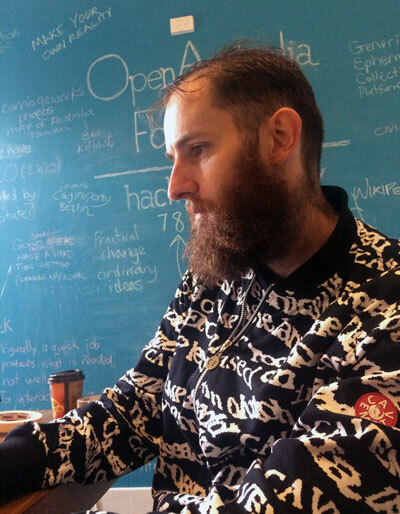 How can hacking and growing work together? 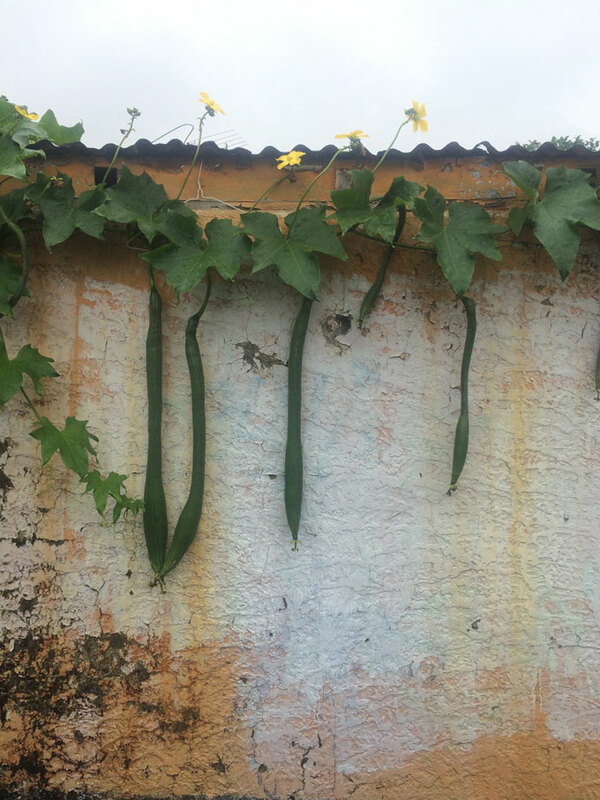 Along with dragon fruit, lemons, grapevines, olives and bananas, we found a strange looking plant and nobody from our little group knew what it was. 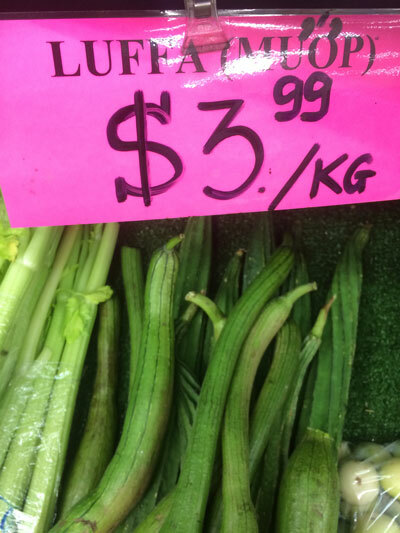 A week later, on another walk in another part of my neighbourhood, I found out it was luffa, also called the dishcloth gourd in Asia because they are used for scrubbing pots. If I approach what happened that day through the lens of the eleventh permaculture design principle, which calls for an appreciation of the marginal and the edge, Frontyard and OAF make a lot of sense. As written elsewhere, the edge in permaculture is not a boundary on the periphery of a design, but a site of interconnection, hybridity and exchange, that produces adaptable and different possibilities.